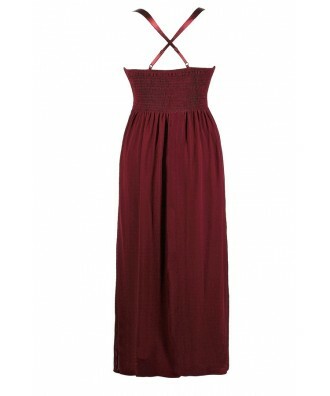 You have added Bejeweled Rhinestone Chiffon Maxi Dress in Burgundy- Plus Size into shopping cart. This gorgeous maxi dress is decorated with a band of bold rhinestone embellishments at the waist, giving it the perfect touch of sparkle. The Bejeweled Rhinestone Chiffon Maxi Dress is fully lined and made of chiffon. The top is made of pleated chiffon and has a sweetheart neckline and lightly padded bust for support. The attached straps crisscross in the back and adjust so that you can control the fit. Bold rhinestones form a crisscross pattern and decorate the waist of this dress. The attached skirt has a flowy maxi cut. Fabric ruching at the back and a hidden side zipper complete this dress. The Bejeweled Rhinestone Chiffon Maxi Dress would be perfect to wear to prom or any other formal dance. 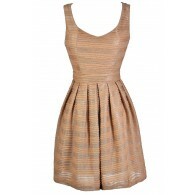 Pair this dress with strappy metallic heels and a clutch and you're good to go! Details: Fully lined. Lightly padded bust. Hidden side zipper. Adjustable spaghetti straps. 100% polyester. Hand wash cold with like colors. Do not bleach. Low iron. Size XL measurements: Length from top of bust to hemline: 53". Bust: 40". You have added Bejeweled Rhinestone Chiffon Maxi Dress in Burgundy- Plus Size into Wishlist. You have added Bejeweled Rhinestone Chiffon Maxi Dress in Burgundy- Plus Size for Stock Notification. 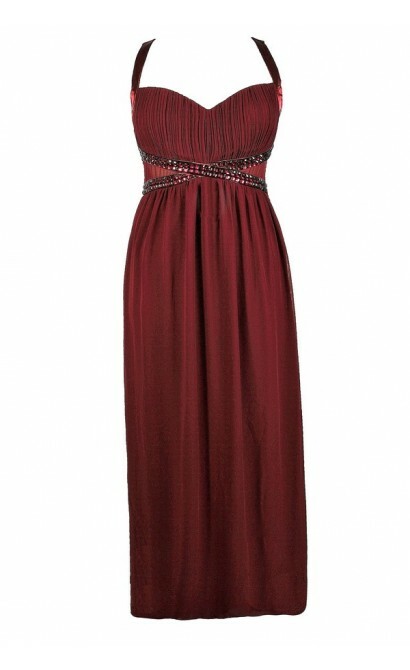 You have set Bejeweled Rhinestone Chiffon Maxi Dress in Burgundy- Plus Size as a loved product. 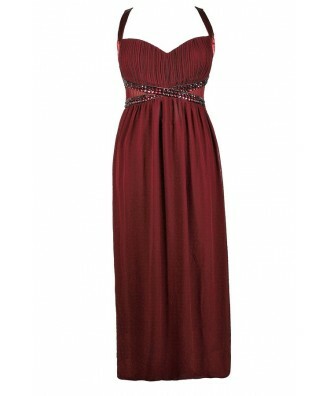 You have removed Bejeweled Rhinestone Chiffon Maxi Dress in Burgundy- Plus Size as a loved product.